Having a fingerprint scanner on your phone is nothing new, but on credit cards it's a first. Today Mastercard introduced its first payment card with an integrated fingerprint scanner, going one step further in payment authorization. The company aims to abolish the inconvenience of typing a PIN while clumsily hiding from onlookers. The card was introduced in South Africa after successful trials. Mastercard hopes to roll the tech globally in 2017. The only obstacle before you get such card is that your bank first has to implement the tech. To receive the new credit or debit card you have to go to an “enrollment center” to get your fingers scanned. The memory of the sensor allows you to have two fingerprints but Mastercard points out that both of the fingers have to be yours - you can’t give the card to someone else. When the process is over and you have the card, you can shop effortlessly. There is no need for new equipment; you just need to remember to keep your finger on the card. The sensor itself is positioned in the upper right corner. Early testers say the authorization process is quick - faster than entering your PIN and then waiting for approval from the bank. 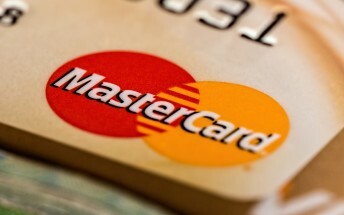 Mastercard says the new cards issued will come along with a chip and pin (no magnetic stripe-only) due to security reasons.